The most popular operating system nowadays is android. The app store for providing apps to android is Google Play operated by google. 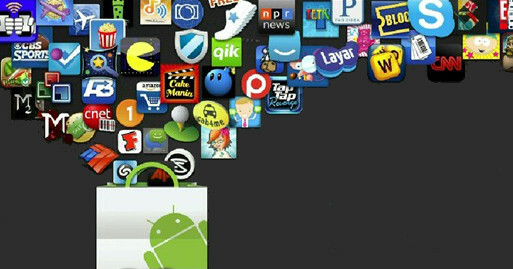 Google Play offers a large variety of apps to android users and that’s the reason why android has one of the best app store among all the operating systems, thanks to google. There are a lot of games and apps on Google Play store but all are not free. So, whenever we hear about any app from our friend or we like any app while wandering on Google Play and it is not free, that is the part where we get angry and trust me it is very difficult to find an app for free that is paid. Even though who would like to waste his time by searching all google pages just to find an app which is paid. In iOS we jail break the phone and install cydia which gives us free apps and games but not in android. In android we can root our phone but rooting the phone has nothing to do with free apps and games. We can install free apps and games on android without rooting. There are different android app stores which claim to provide free apps that are paid but i found them useless. 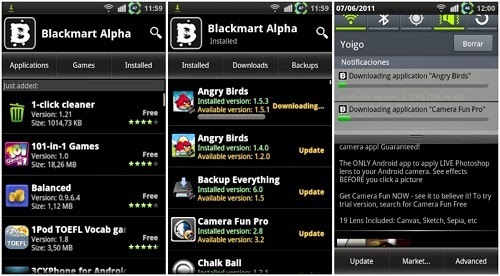 The platform that i found which has all the apps and games which are on google play whether paid or free is BlackMart. Also check our another list of top cracked appstores/sites for Android. BlackMart is a cracked app store that has all the apps and games for free. I found this app store through my friend. I am using BlackMart for a long and i have not found any app missing on BlackMart that is on Google Play store. Every app that is paid on Google Play store is free on BlackMart. Today i will show you how to download BlackMart on your android phone and get paid apps and games for free. All the games are, also paid ones. You shoul also checkout another appstore Tutuapp to download cracked apps and games. You can download BlackMart from the link below. Just download the BlackMart and install it on your android. 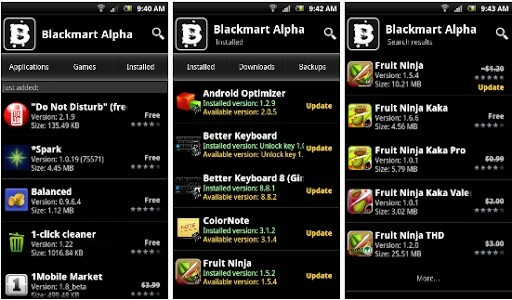 BlackMart is a free app store and compatible with all android devices. Huge amount of Apps and Games available. Almost all the apps are free. Installed apps can be updated to the latest version. A little free space available on your Phone. First of all download the BlackMart app store. Now on your phone head over to Settings >> Security >> Scroll down >> Unknown Sources and enable it by tapping on it. Skip this if unknown sources option is already enabled. Now go to the download folder and tap on the BlackMart which is apk file and install it. When the BlackMart is installed you can find the BlackMart icon (Capital black B icon) in the apps menu and can add the icon to your home screen. The BlackMart is very easy to use. Downloading apps and games is similar to Google Play. Open the BlackMart and just search the app you want to download, don’t panic about price all apps are free, when the app appears in the search list open it and download it. If your device is rooted the downloaded app will be installed itself but if your device is non-rooted then BlackMart will ask for permission to install the app. All paid games are free. In short BlackMart is a good app store for those who want free apps and games. Through BlackMart we can get all paid apps and games completely free. That’s it guys, thanks for giving your precious time to my article. Please share this if you like. Also like our page (Droidopinions) on facebook. If you have any question don’t be shy and ask in the comments section i will catch up with you. My phone is already root using OneClickRoot tool and now I need to download the paid apps and games that I like. Thank you for sharing this. Bro how are you.I’M fine and wish you good for you. Bro i ever play only clash of kings he has his own stor and i want to purchase things free. I want to help.can yo help me hiw can i do it.how can i find craked app from anywhere.i have tried hard but can’t. Plz help me bro God bless you.